Giving us a taste of the inevitable future, Sony is showing off at this year's Tokyo Game Show what the PlayStation Vita looks like in a range of colours that aren't its standard black. Square Enix, makers of Final Fantasy, is coming out strong with PS Vita. Besides an HD Final Fantasy X remake, Square Enix is also working on original titles like Army Corps of Hell. Welcome Home PS Vita. Your Look at the Vita&apos;s Start Screen. Welcome Home PS Vita. Your Look at the Vita's Start Screen. Spotted at Sony's Tokyo Game Show booth, this fine copy of Uncharted: Golden Abyss for the upcoming PlayStation Vita. I like the blue! it also blends in nicely with the newer PlayStation 3 game boxes. Career ninja Ryu Hayabusa is going to have a busy year, now that Team Ninja has officially unveiled Dead or Alive 5 for the Xbox 360 and PlayStation 3 in the form of this "pre-alpha" gameplay trailer. Square Enix is releasing the sequel to Final Fantasy XIII in Japan this December. It's called Final Fantasy XIII-2. To commemorate that release, Sony will release a sequel to the PlayStation 3 Final Fantasy XIII Lightning Edition. Do You Know Whose Voice Haunts This Game? Haunt is the latest title from Masaya Matsuura, the designer best known for Parappa the Rapper. What determines somebody's "best-looking" game on a system is a subjective thing. Some will prefer clean lines, others copious effects. Me, I can do without either if a game just has great art. Level-5 and Studio Ghibli's Ni No Kuni on the PS3 has amazing art. Project Draco is the latest title from the designer behind Panzer Dragoon. Does Evangelion Have Much of a Sound Impact? Venerated anime Neon Genesis Evangelion is being reborn on the PSP as Rebuild of Evangelion: Sound Impact. Square Enix&apos;s Tokyo Game Show Booth Is...Look Out, Giant Chocobo! Square Enix's Tokyo Game Show Booth Is...Look Out, Giant Chocobo! 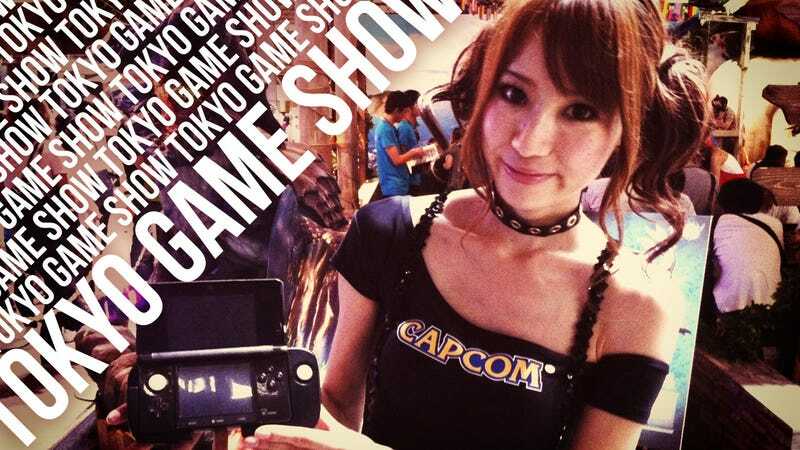 LIVE from the Tokyo Game Show 2011 Keynote, Starring Square Enix&apos;s Yoichi Wada! Can't make it to the Tokyo Game Show to check out Sony's massive, Vita-heavy booth? No, probably not. The next best thing to being there, then, are these pictures of the place! This afternoon, just as the Tokyo Game Show was grinding to a halt for the day, a 6.2 magnitude earthquake shook northeastern Japan. There were no immediate injuries according to early reports. This trailer for Tekken on the 3DS was shown at yesterday's Namco Bandai showcase in Shinagawa. While the game failed to spark much interest, this footage of Street Fighter boss Yoshinori Ono and Tekken's lead man Katsuhiro Harada brought the house down.